A budding rivalry between one of Afghanistan’s most powerful politicians and his previously little-know adversary is rapidly transforming into a showdown between two of the country’s most powerful political organizations attracting a sizeable following from among the nation’s largest ethnic groups. The Afghan national unity government is fact-finding on a controversial case in northern Balkh Province after a provincial councilman accused the governor of effectively kidnapping and torturing him last week. Mohammad Asif Mohmand, a member of Balkh’s provincial council, enjoys the backing of the predominately Pashtun Hizb-e Islami Afghanistan political party. He accused Governor Atta Mohammad Noor, a key leader of the predominantly Tajik Jamiat-e Islami party, of forcefully taking him home after a gunfight in Balkh’s capital, Mazar-e Sharif, on August 15. He told Radio Free Afghanistan on August 18, that Mohmand was probably injured during his detention by security forces or in the skirmish before his arrest. 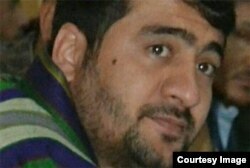 Farhad said Mohmand was arrested after a letter from a government prosecutor accused him of forging commercial documents. But both the prosecutor general’s office and the Interior Ministry in Kabul deny issuing an arrest warrant on this particular case. Now a nine-member fact-finding team, appointed by Afghan President Ashraf Ghani, says that based on their initial conclusions Mohmand’s detention was ordered by Noor. “Initial assessments show the Balkh governor had instructed his men to detain him [Mohmand] and bring him to his home,” said Abdul Habib Jabarkheil, a member of the team, adding that they will soon submit their findings to authorities in Kabul. Last week’s violence was the culmination of public accusations and insults. Before returning to Kabul last week, Mohmand accused Noor of being involved in widespread corruption in Balkh. The accusation followed a video clip showing Mohmand threatening and insulting an Atta supporter. As the rivalry between Mohmand and Atta intensifies, their respective organizations are apparently stepping up to add fuel to the fire in a country reeling from mounting insurgent violence, widespread corruption, and poverty. Afghans are warily watching as Hizb-e Islami and Jamiat-e Islami spar with increasing frequency. As the most powerful anti-Soviet mujahedin factions in the 1980s, they sporadically clashed. But their rivalry turned into a major part of the Afghan civil war in the 1990s when their infighting killed tens of thousands of supporters and civilians. Hizb-e Islami reacted with a strong statement shortly after the news of Mohmand’s detention by Atta broke on August 16. To further challenge Jamiat-e Islami’s prominent role in the government after the demise of the Taliban regime in late 2001, Hizb-e Islami leader Gulbuddin Hekmatyar offered scathing criticism of its leader from northern Panjshir Province. “Six hundred generals in the Defense Ministry are from Panjshir because the defense minister was from Panjshir,” he told supporters on August 19. “In the whole of Europe, you won’t find 600 generals. But in Afghanistan, there are 600 generals from just one district,” he added, alluding to Panjshir’s status as an isolated mountainous district before becoming a key bastion of power in the country. Jamiat-e Islami did not relent in responding to its old rival. “Leaders of the government should pay attention to their responsibilities and prevent plotters and seditionists who should stop further disruption and cease testing the patience of Jamiat-e Islami,” the party said in a statement posted on Facebook. 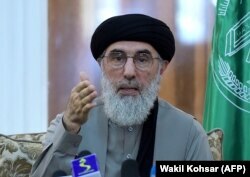 Michael Kugelman, a South Asia associate at the Woodrow Wilson International Center for Scholars in Washington, D.C., says the controversy could be an ugly manifestation of a renewed rivalry between the old rivals after Hekmatyar’s return to the Afghan political arena. While the Afghan political elites await the final report by the presidential fact-finding team investigating the controversy, its findings might never be revealed as has been the case with numerous government probes into controversial issues.